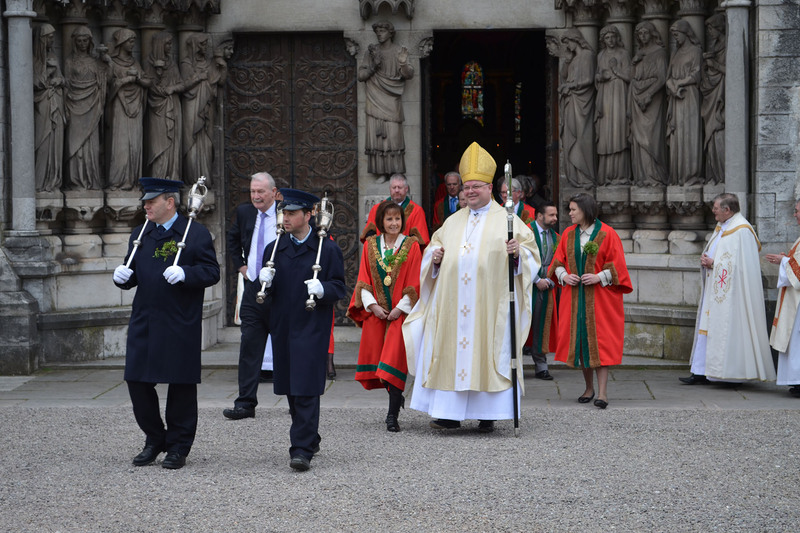 The Annual Festival Choral Eucharist and Civic Service at St Fin Barre’s Cathedral gives everyone an early start to the celebrations each St Patrick’s Day in Cork. 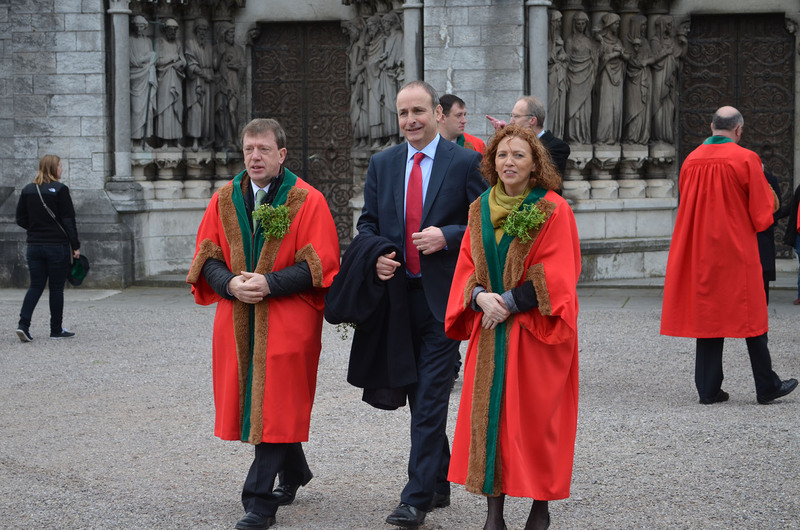 Since the 1960s the Lord Mayor and City Council, together with local politicians, city officials, representatives of An Garda Síochána, the Naval Service, the Defence Forces, as well as representatives of the local business community, charities and voluntary groups have made the Service their first engagement of St Patrick’s Day in Cork. Stewarding and a Guard of Honour are traditionally provided by the 2nd Cork (St Fin Barre’s) Scouts. Afterwards the Bishop and Mrs Colton hosted a reception, as they do each year, for more than 150 invited guests at The Bishop’s Palace. 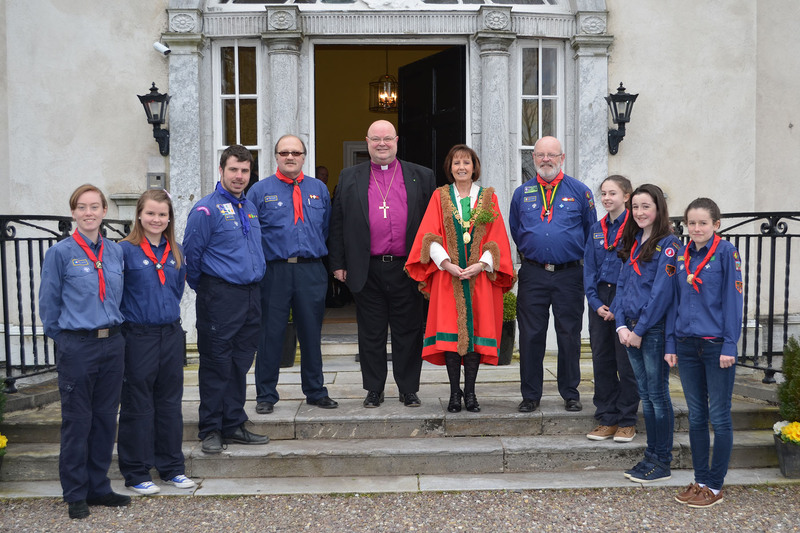 2nd Cork (St Fin Barre’s) Scouts and Leaders with the Bishop and the Lord Mayor at The Bishop’s Palace after the St Patrick’s Day Service. (Photo: David Barry). This entry was posted in Cathedral, Cork, Saint Patrick's Day. Bookmark the permalink.